Washington, DC – US Congressman Joseph Crowley (D-NY) today announced legislation granting Ukraine permanent normal trade relations status passed in the House. The legislation (HR 1053) authorizes President Bush to make permanent normal trade relations with Ukraine, by lifting the restrictions imposed by the Jackson-Vanick amendment to the 1974 Trade Act (PL 93-618). The Jackson-Vanik amendment was put in place in 1974 to punish countries (mainly Eastern Bloc nations) with non-market economies that also restricted emigration rights for Jews. On Monday, the United States and Ukraine signed a bilateral trade agreement that would be the first step in allowing the former Soviet Republic to join the WTO. Without the lifting of Jackson-Vanick, the U.S.-Ukraine treaty would not go into affect. Ukraine held Presidential elections in November of 2004, which were deemed fraudulent not only by the Organization for Security and Cooperation in Europe, but also by the Ukrainian courts. In response, the people of Ukraine took to the streets in a major peaceful uprising known as the Orange Revolution to show support for democratic candidate Viktor Yushchenko. In December, after the official re-election of the two candidates, President Viktor Yushchenko emerged victorious. By reforming intellectual property rights, condemning anti-Semitism, and reforming other economic factors, President Yushchenko has brought the Ukraine into Market Economy Status. 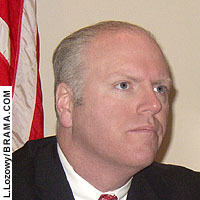 Congressman Crowley is also a member of the Congressional Human Rights Caucus.